Peter Opiyo displayed the poise and excellent vision of an experienced player when he featured for the national team in 2010 world cup qualifying campaign. Following his impressive performance, Opiyo was able to attend trials with German second tier side Fortuna Dusseldorf. It is worth noting that Gor Mahia beat Fortuna Dusseldorf 1-0 in a 1985 friendly match thanks to a goal by Abass Magongo. At the time Fortuna Dusseldorf was in the top league, the Bundesliga. Antoine Hey told the German media : “Peter plays for me in the national team. He is a very good player, whose key strengths is on the defensive midfield “, said Hey , a former Düsseldorfer professional. „I would be pleased much, if he could find accomodation here. Peter Opiyo said “My goal is it, here with Fortuna – where I am impressed so far. – I hope to help this club earn a promotion to the Bundesliga. According to the Dusseldorf website, “ There are however two problems. „The player has still one and a half years contract in Kenya. The second difficulty: On Opiyos favourite position in the defensive midfields Fortuna has actually no need. They are equipped with Claus Costa and Stefan winner there. It is therefore an uphill task for Opiyo but if anyone can overcome it, it is him. Harambee stars may have failed miserably in their efforts to qualify for the cup of nations but Gor Mahia fans had something to be cheerful about. Captain Julius Owino and defensive midfielder Peter Opiyo played starring roles in the national team’s campaign. Owino was rock solid at full back and offered additional options in attack. One of his forays up front ended with him scoring against Mozambique. Peter Opiyo won rave reviews for his superior work rate and excellent ball distribution and was able to parlay it into trials with Fortuna Dusseldorf of Germany. In addition, George Odhiambo, Ibrahim Kitawi and Chris Wekesa have also been called up to the national team, giving Kogalo fans more to cheer. Over the past 5 years, Gor Mahia players in the national team have been as rare as trees in a desert. This a far cry from the glory days of the 1970s and 1980s when Kogalo often provided almost half of the national team players. This was during the heyday of players like Sammy Owino “Kempes”, Bob Ogolla, Otieno Bassanga, Charles Otieno, Abass Magongo, John Okello “Zangi” among many others. 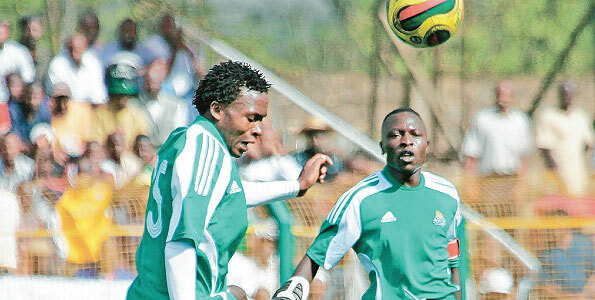 Gor Mahia came from behind to beat KCB 2-1 at the Nairobi city stadium thanks to a brace from 19 year old Duncan Owiti. minute, connecting Geoffrey Maina’s cross with a volley, but substitute Owiti beat an offside trap to level the scores with his second touch of the ball, looping the ball over an advancing custodian Daniel Oluoch. Owiti was at it again in the added time as he tapped in a loose ball from a goalmouth melee to improve their campaign of finishing the league in third position. K’Ogalo are now in 4th position, a dramatic improvement from the performance of the recent years.